Taking a much needed break from packing to bring you this public service announcement haha.. Well it’s not a P.S.A for nail muggles but it is for us polish addicts! 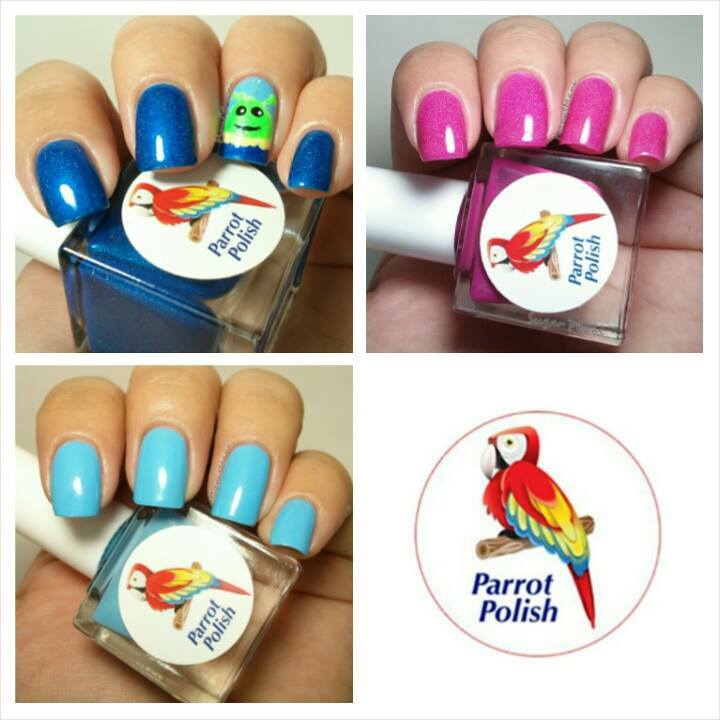 As you may have already seen I have been given the chance to swatch for Parrot Polish an indie brand that opened early this year. You can see those swatches here, and I have been lucky enough to be able to swatch for them again! I am was very very excited when I learned that I was being sent more product, both Sonja and David (owners) are amazing people and I am so happy to be able to help them get the word out about their amazing product! so, lets get to the pretties! *Blue Martian Juice- I immediately went for this baby!!! 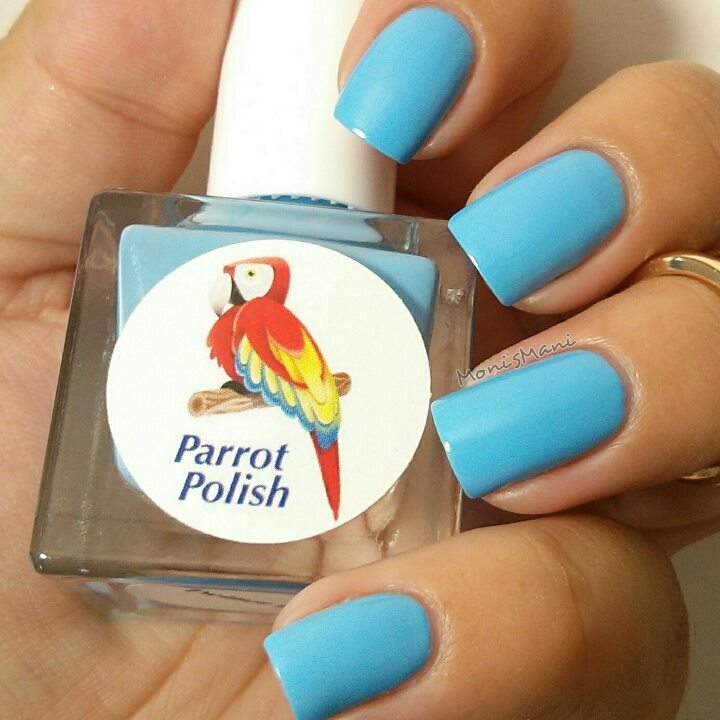 SOOO beautiful in the bottle and even more beautiful on your nails! Crème formula with beautiful holographic glitter makes you think of the night sky, no intense! ugh! just in love! I was inspired by the name and went for something different and fun by free handing this cute little guy. 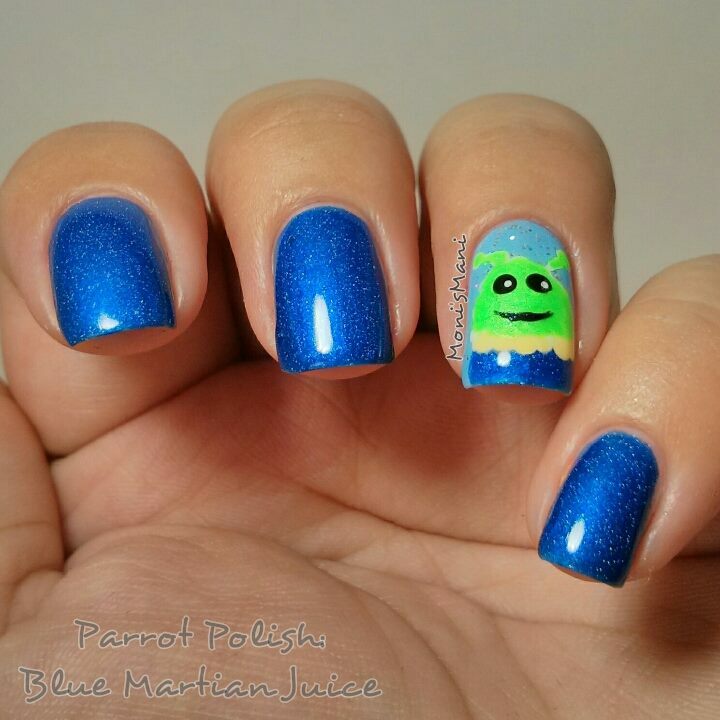 what you see is two coats of B.M.J on pointer, middle and pinkie and the Martian is done on Twitter Blue base sprinkled with Aurora top coat. I hope you like it! 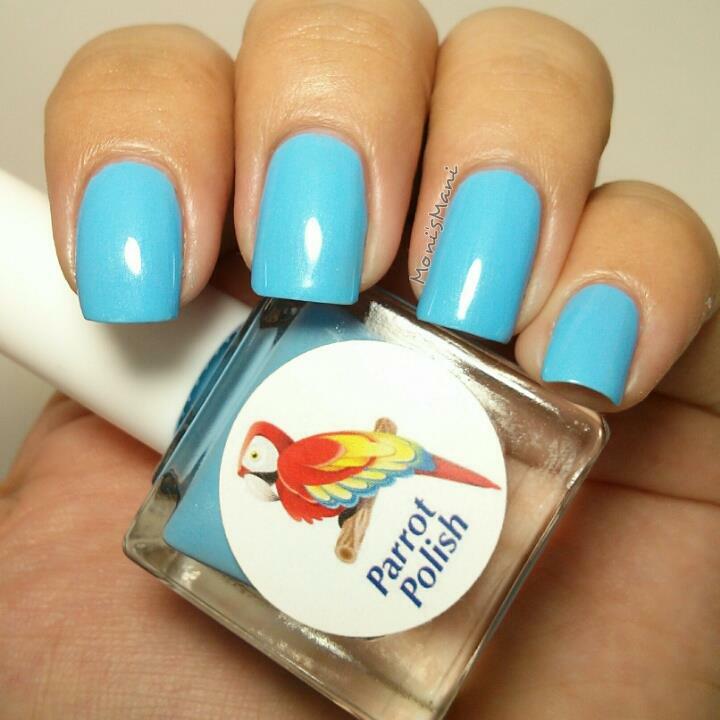 *Twitter Blue– yassssss, gorgeous powder baby blue with a shimmer twist! So beautiful! 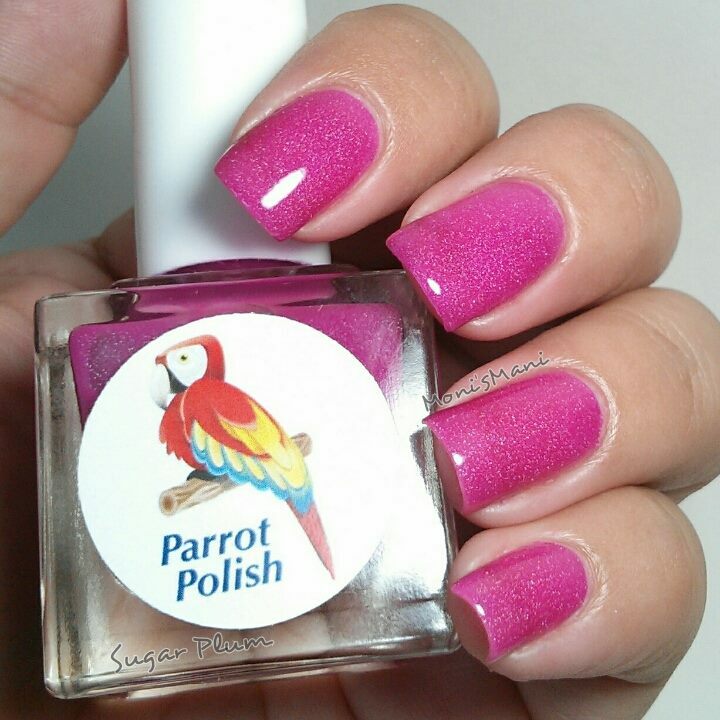 very easy formula, two coats and it was completely and beautifully opaque and smooth. 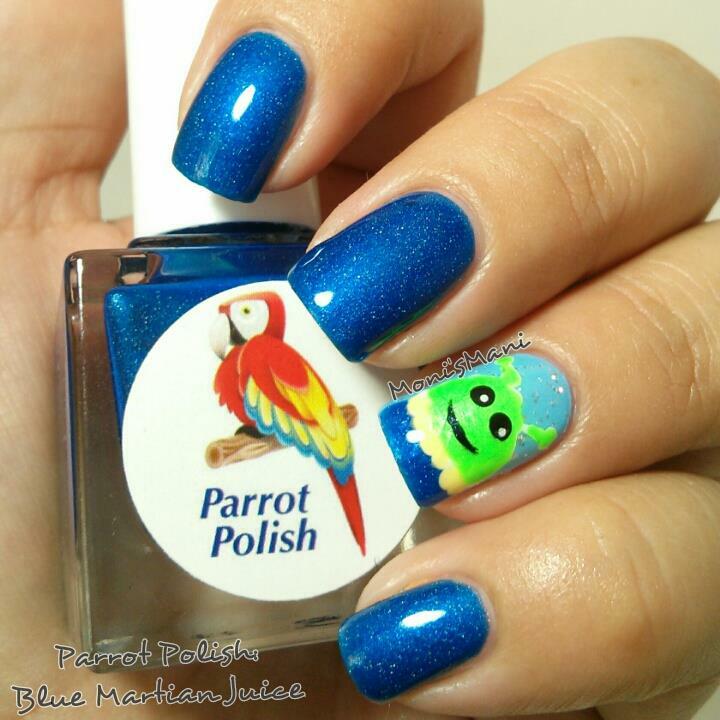 I did simple upside down triangle tips for this mani by placing scotch tape on the dry base and finishing off with Blue Martian Juice, you can really appreciate the twinkle on B.M.J in these pics. Loved this combo! 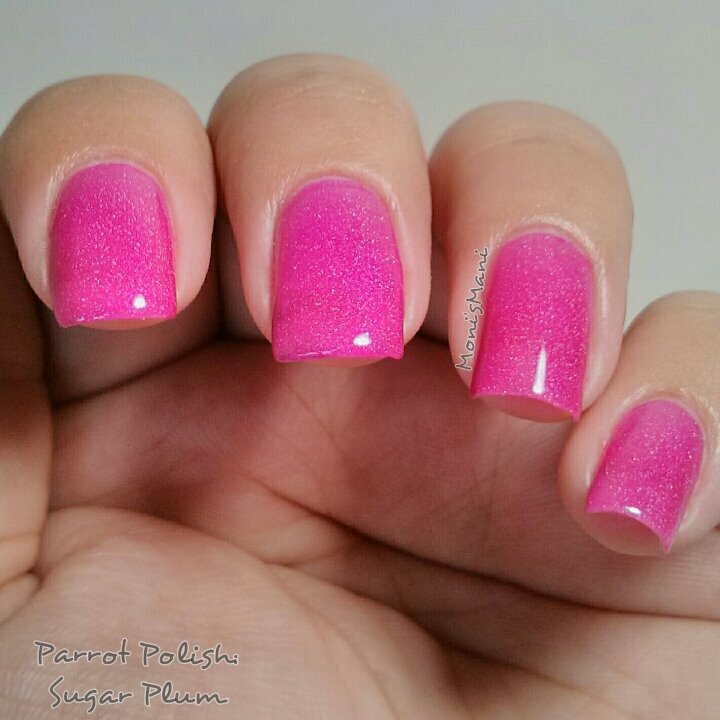 *Sugar Plum- Such a gorgeous magenta-plum jelly like polish with holographic sparkles, I did two coats for the swatch below. So in love with it, I find it fun and flirty! 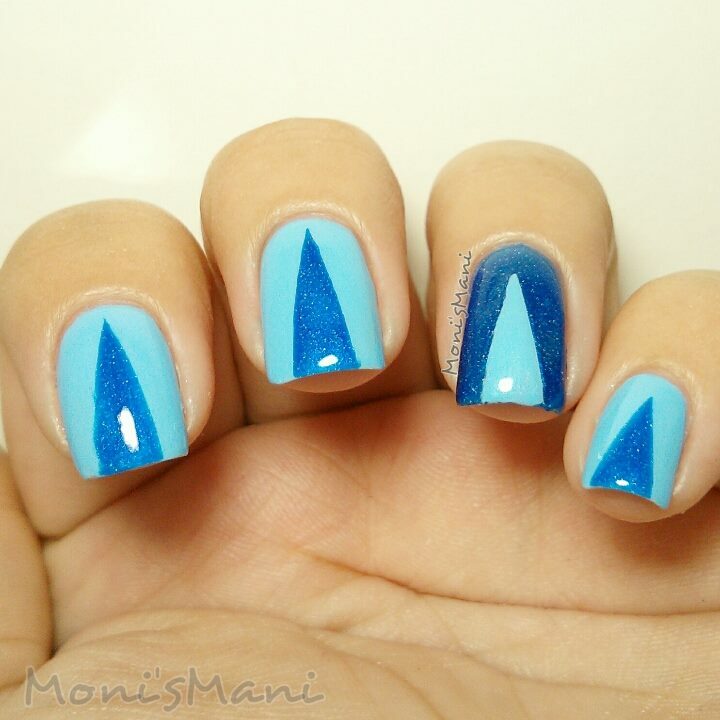 For this mani I followed a pictorial by the Nailasaurus and did a lower X accent using striping tape. The glitter is Waves by Rainbow Honey. 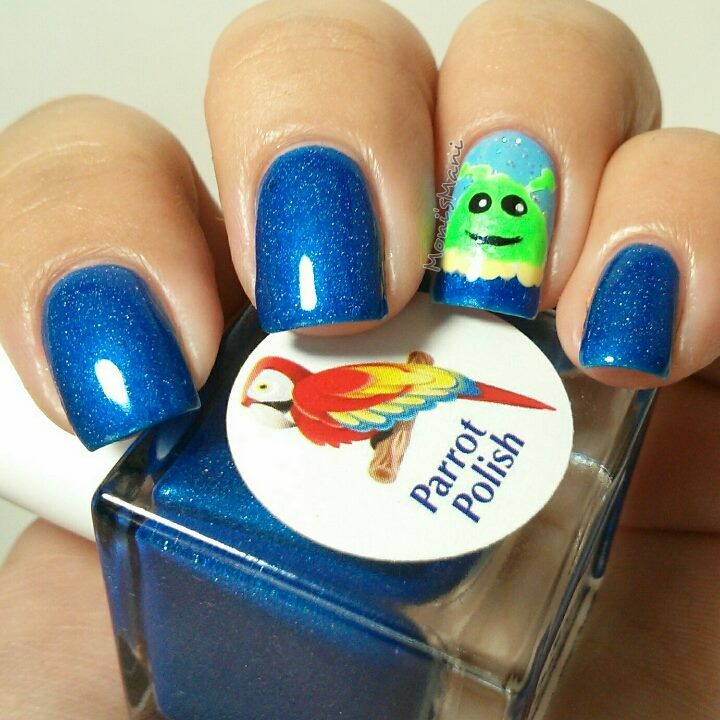 Thank you so much for reading and thank you Parrot Polish for trusting me with your pretties! Founded in 2014, we are a family owned and operated business offering the most brilliant and beautiful selection of high quality nail polish. After many years of having parrots and parakeets, we just love them! The combination of their beauty and flair make everyone smile. They are also the inspiration for our business and each of our products. Great review!! I Love them all… But my favorite ones are the pink and the dark blue! The names of the polishes are nice and funny 🙂 Great job Monica. Gorgeous polishes and even better swatches :* love it!! Gracias cielo!! Estan mirando DE vender fuera cuando sepa algo Te cuento!! Besos cariño! I’m so excited to start a collection of these beautiful polishes!